Science 6-1: How Do Species Adapt to the Cold? Science 9-3: Behind the Bottle - What's in the Bottle? Science 10-3: Behind the Bottle - What's in the Bottle? Exp Sci 10-2: Climate Change - How will it affect us? Science 10-2: Climate Change - How Will It Affect Us? Join individuals and groups around the world who are tracking freeze-up in their communities to help scientists establish global patterns of climate change. 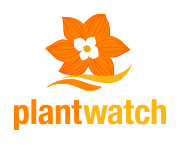 Join individuals and groups around the world who are recording their sightings of indicator plant species in their communities to help scientists determine how climate change is affecting plant species. Join individuals and groups around the world who are tracking snowfall in their communities to help scientists establish global patterns of climate change. 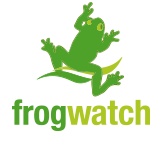 Join individuals and groups around the world who are recording their sightings of indicator frog species in their communities to help scientists determine how climate change is affecting frog species. GreenLearning creates free online education programs about energy and sustainability that engage and empower students to create positive change for our evolving world. An excellent site with links to news articles, games, and resources to help students learn about energy. Website designed and maintained by Ecology North. Funding for this project provided by NSERC and MACA..